We've got a sweet and simple sketch for you this week. I decided to ink up the fabulous Coffe Date stamp set. 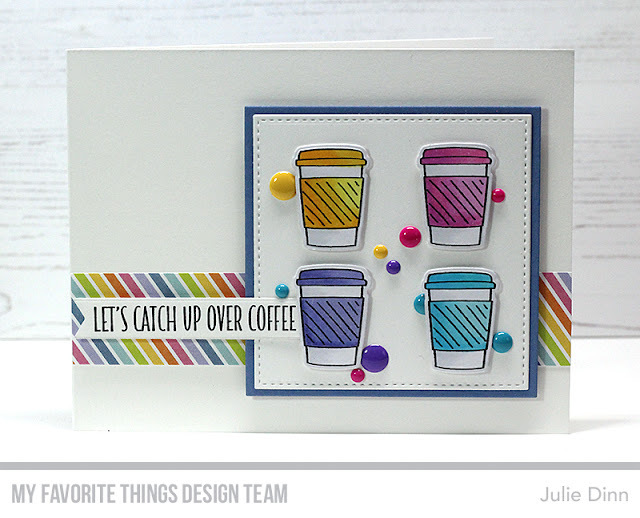 I stamped a few of the coffee cups on X-press It Card Stock and I coloured them with Copics that coordinated with the Party Patterns patterned paper. The sentiment is from the Coffee Break stamp set, I stamped it on an Essential Fishtail Flag.